The cleanroom bag is manufactured from an anti-static Polyester fabric with a 5cm ESD grid pattern. 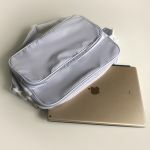 The Polyester fabric is sewn internally, including the secondary front pocket providing a complete 2 ply cleanroom bag. 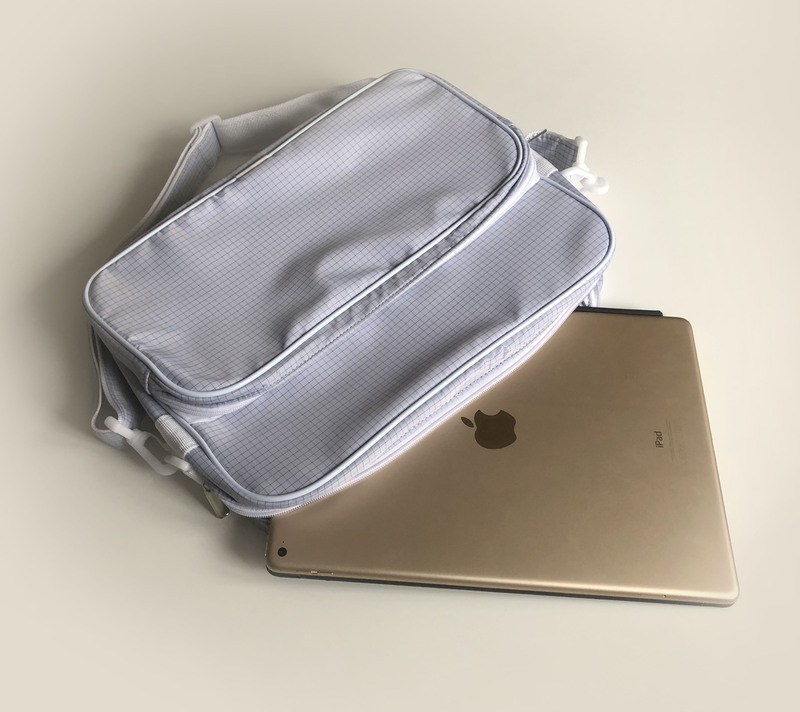 The bag incorporates an approximate 340 x 230 x 50mm internal space to carry documents, laptop, tools. With an additional front pocket to help keep items separately when required. The attachable, adjustable shoulder strap is included.